Denny Jump (Bellevue, WA, United States) on 22 October 2014 in Landscape & Rural and Portfolio. This "looks" how I "feel" on a beautiful Autumn day. All is well. Happy Autumn everyone. Glorious . . a sense of celebration ! A gorgeous image Denny! I love the color and the POV! 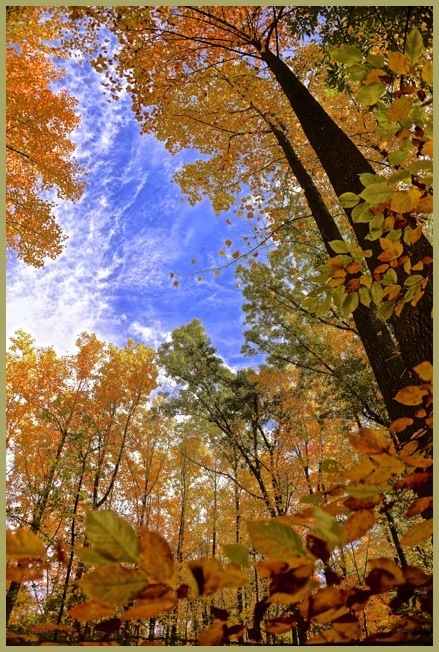 love the perspective here - looking up through the glorious leaves towards the blue sky! the colour combination is beautiful!